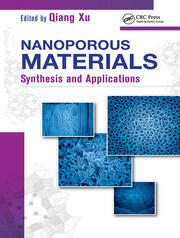 Intended as a reference for basic and practical knowledge about the synthesis, characterization, and applications of nanotechnology for students, engineers, and researchers, this book focuses on the production of different types of nanomaterials and their applications, particularly synthesis of different types of nanomaterials, characterization of different types of nanomaterials, applications of different types of nanomaterials, including the nanocomposites. Dr. A. K. Haghi holds a BSc in urban and environmental engineering from the University of North Carolina (USA); an MSc in mechanical engineering from North Carolina A&T State University (USA); a DEA in applied mechanics, acoustics, and materials from the Université de Technologie de Compiègne (France); and a PhD in engineering sciences from the Université de Franche-Comté (France). He has written about 1000 original articles, 250 monographs, and 170 chapters in 40 volumes. 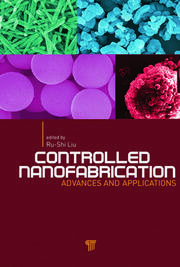 It is apparent from this work that he has made valuable contributions to the theory and practice of chemical engineering, heat and mass transfer, porous media, industrial drying, polymers, nanofibers, and nanocomposites. 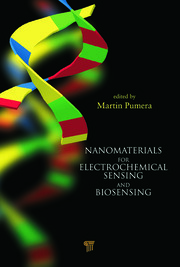 Dr Haghi is Editor-In-Chief of the International Journal of Chemoinformatics and Chemical Engineering and Editor-In-Chief of the Polymers Research Journal. He is an editorial board member for many US and internationally published journals and is also a Senior Editor for Apple Academic Press (US and Canada). He served as an associate member of the University of Ottawa and was a member of the Canadian Society of Mechanical Engineering. Dr. Nandakumar Kalarikkal obtained his master degree in physics with a specialization in industrial physics and his PhD in semiconductor physics from Cochin University of Science and Technology, Kerala, India. He was a postdoctoral fellow at NIIST, Trivandrum, and later joined with Mahatma Gandhi University. Currently he is the Joint Director of the Centre for Nanoscience and Nanotechnology as well as Associate Professor in the School of Pure and Applied Physics at Mahatma Gandhi University. 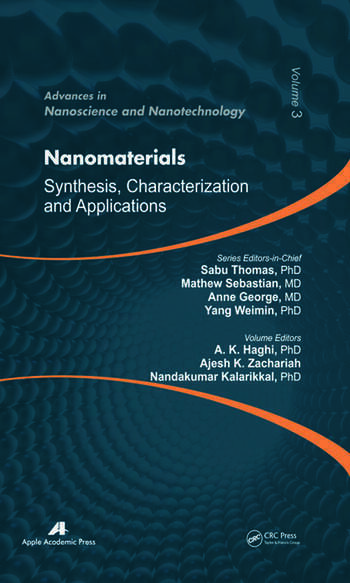 His current research interests include synthesis, characterization, and applications of nanophosphors, nanoferrites, nanoferroelctrics, nanomultiferroics, nanocomposites, and phase transitions.